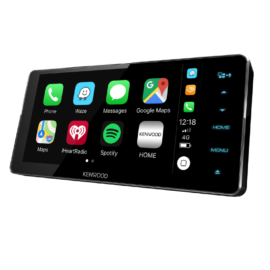 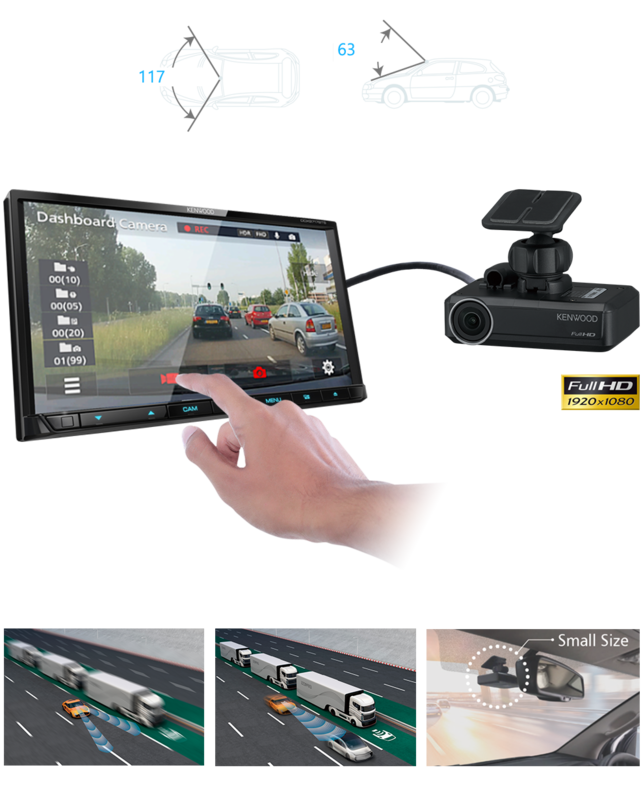 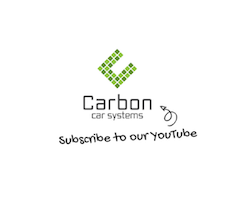 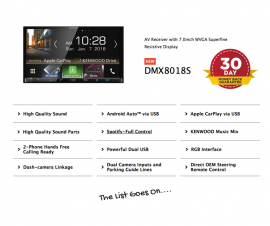 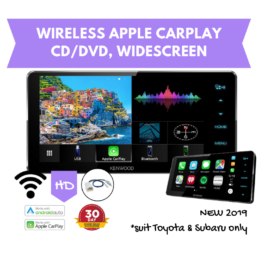 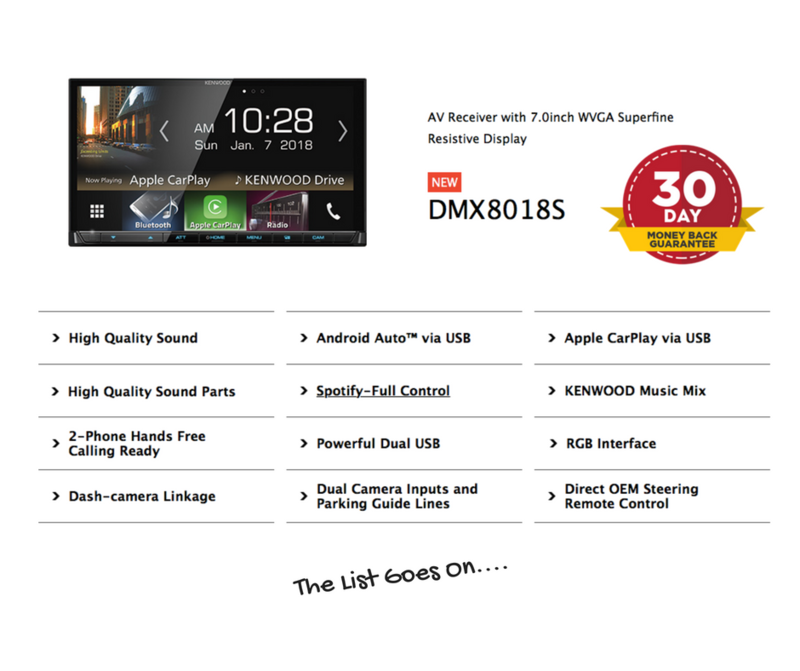 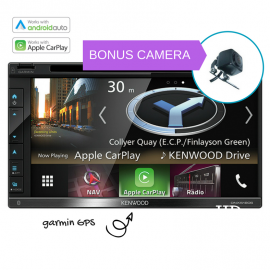 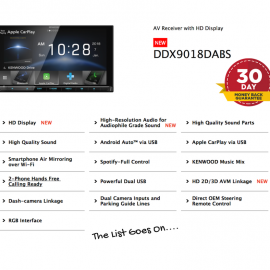 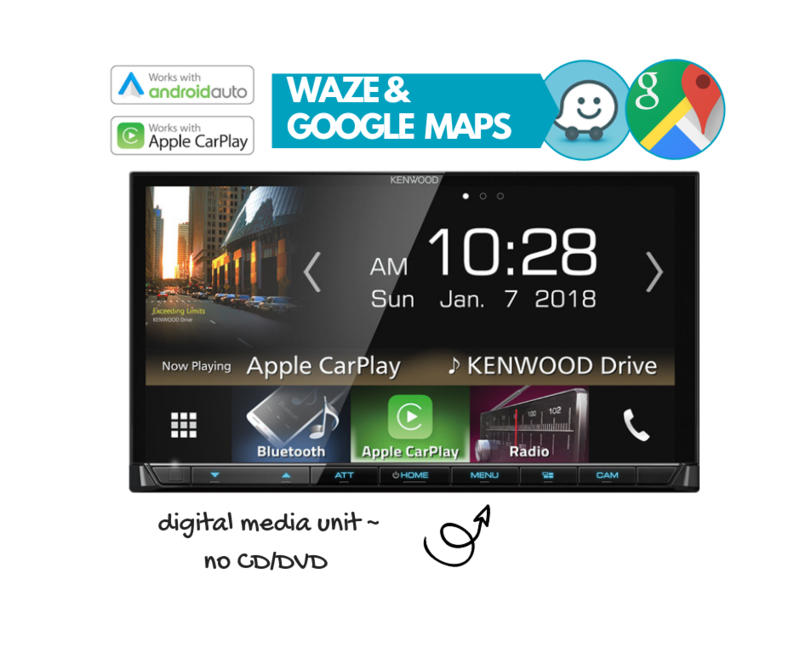 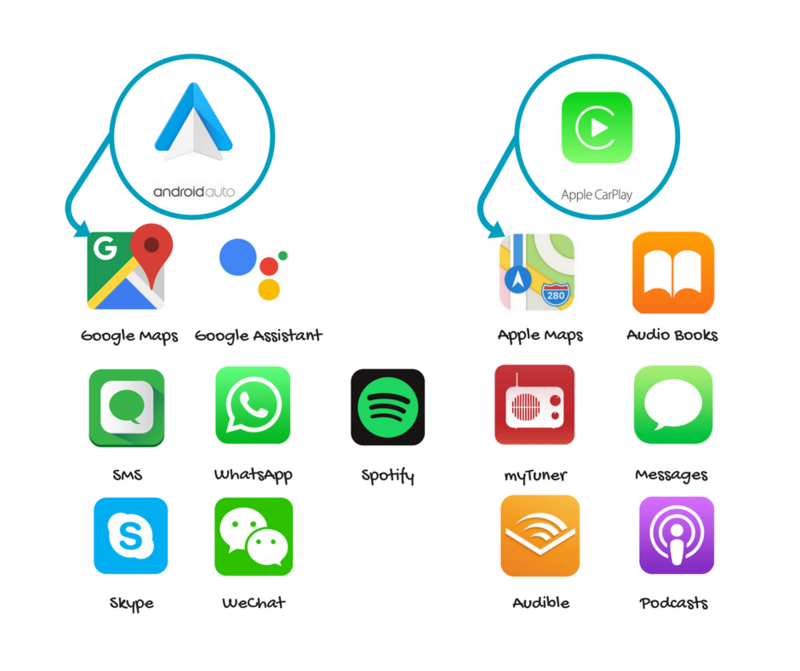 The all new Kenwood DMX8018S is a digital media AV Multimedia Unit that uses Apple CarPlay, Android Auto & Waze Nav through the new weblink App solution via USB to your smart phone. 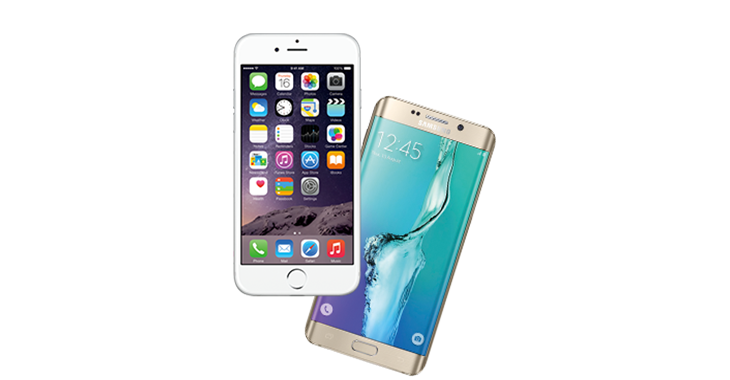 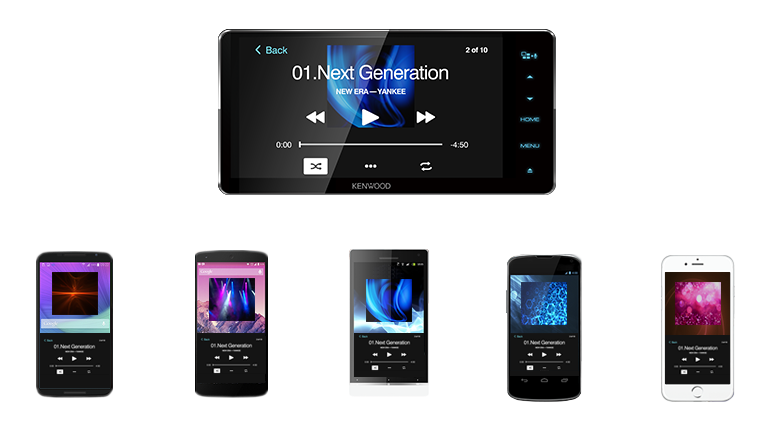 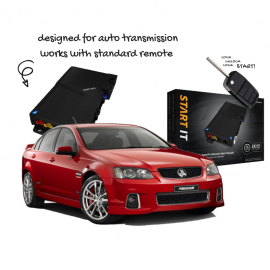 This model is does not have CD/DVD it uses dual USB, phones, bluetooth, apps and standard digital radio. 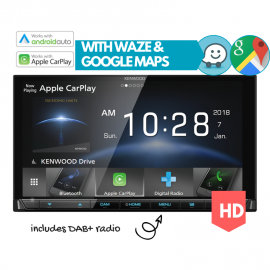 Standard with Apple CarPlay & Android Auto the Kenwood DMX8018S will allow you to connect your phone via USB and run apps direct on the unit. 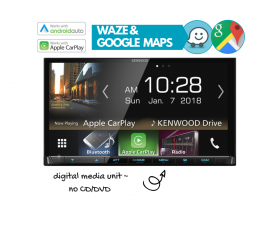 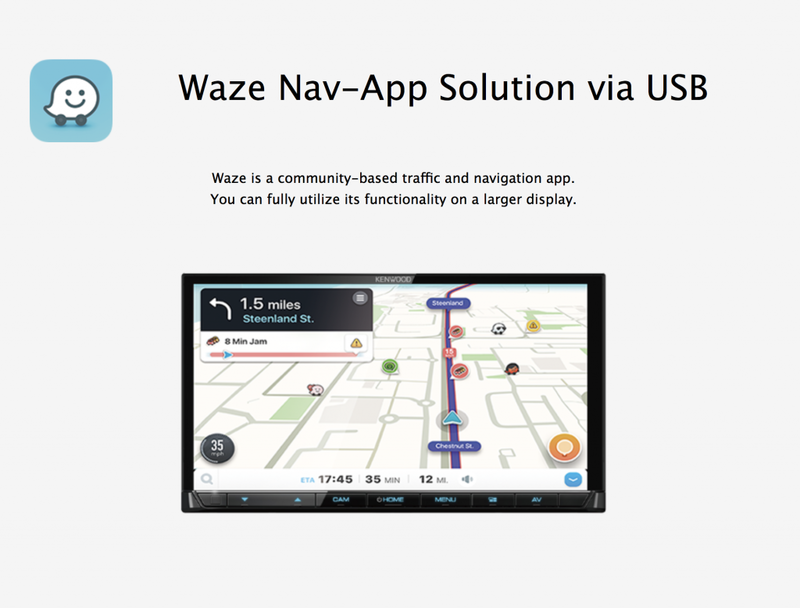 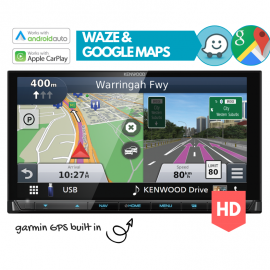 The Kenwood DMX8018S now uses the Waze Nav-App through USB directly for FREE!